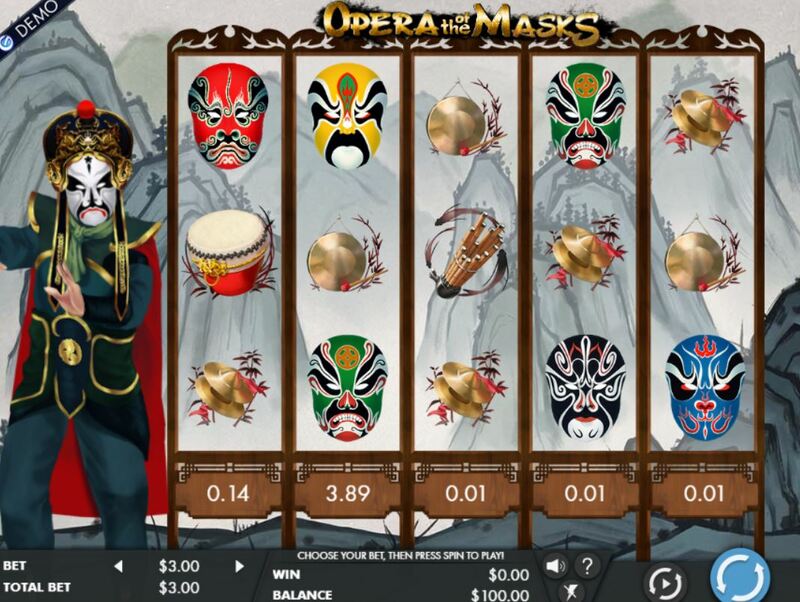 Opera Of The Masks slot is another 243-way game so favoured by American developer Genesis Gaming to accompany others they have made such as Disco Night Fright and the brilliant Gothic slot. You see an Oriental theme as Japanese performers dance by the left of the game wearing masks for their dramatic shows and these form the best symbols paying 100x bet for a top 5-of-a-kind red masks. You only see a Wild on reels 2 and 4 in the shape of a fan and it doesn’t multiply either, but we get some great drumming sounds as all the reels stop on Opera Of the Masks slot! 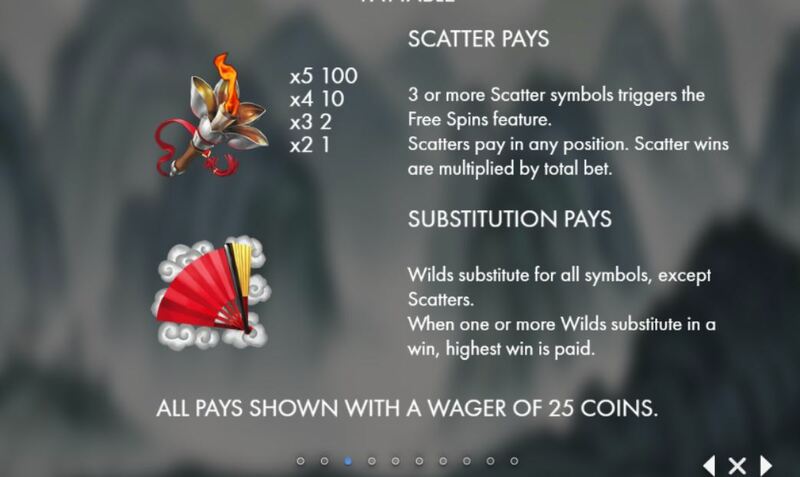 Get 3 spectacular Lotus Flower Torches anywhere in view to trigger 10 free games which can be retriggered. 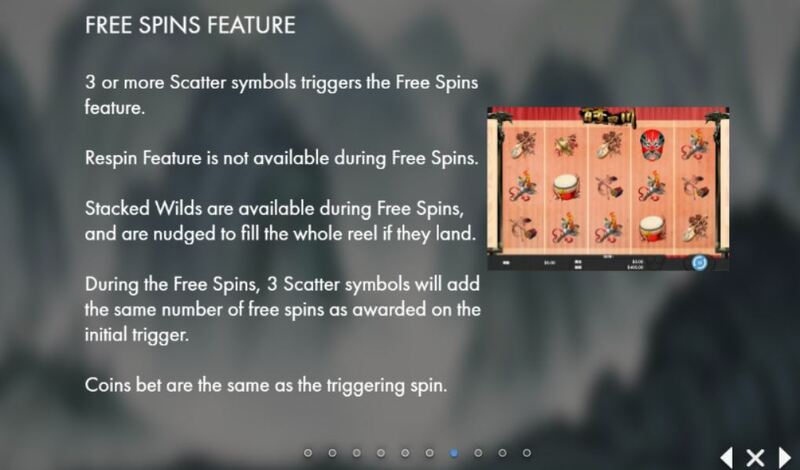 The Wilds on reels 2 and 4 now become the masked Mikado on the left and will expand to fill either or both of those reels if they fall on them in the free games. There is no multiplier but should you see both of them and the Red Opera Masks on the other 3 reels then a huge 900x bet would be won! The volatility is medium-to-high as far as I saw when testing and the win frequency is good in the base game but the big 5-of-a-kind wins are rare due to the high returns times bet they will produce. 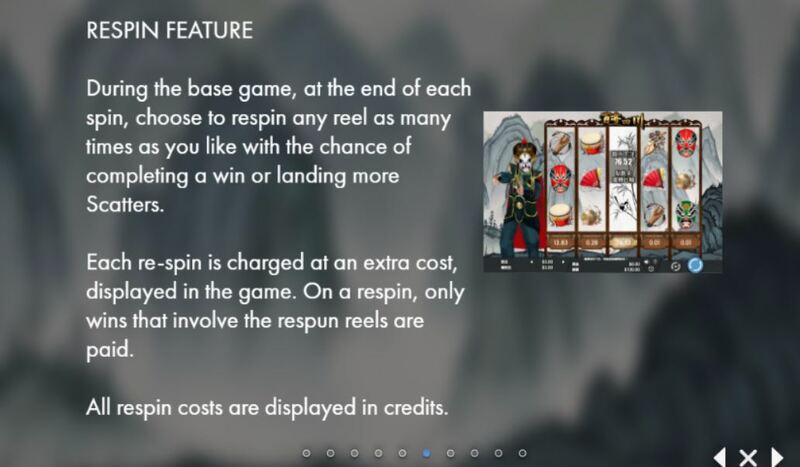 The gameplay is sufficient to keep your balance maintained for one of those nice long sessions we all hope to get for our money on any slot! The feature was triggered about every 180 spins when I tested it, but I suspect on average it be slightly more common than my example. 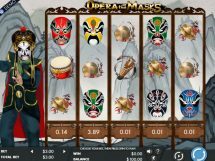 Opera Of The Masks slot is a visual treat with great music, sound effects along with its entertaining graphics and various animations. The RTP is 96.97% which as with most Genesis Gaming slots nowadays is on the plus side of average, always a good thing for us players!